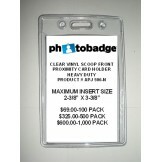 Budget Scoop Front Clear Vertical Holder 100 pack 4"h x 2-5/8"w Slot & Chain Holes As low a..
Clear Vinyl Scoop Front Holder 100-pack Heavy Duty Holder O/D 2-11/16" x 4-1/6" Max Insert Size 2..
New Product Half Card Holder Horizontal Ideal Holder for Magstripe/contactless cards w/no slot hol..
New Product Ideal Holder for Magstripe/contactless Vertical cards w/no slot hole Covers only 1/3 o..
Price is $0.79 each Front of Holder has scoop to aid card removal Maximum Insert Size 2-3/4" x 3-7..
Clear Vinyl Badge Holder-Strap Clip locks in card OD 3''H x 4"W Max. 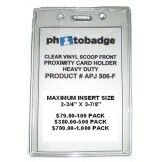 card size 2-1/8" x 3-3/8" Mi..
Clear Vinyl Badge Holder-Strap Clip locks in card Minimum Quantity 100 Designed to fit Credit Card.. 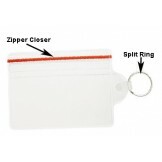 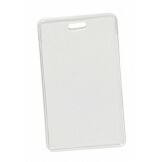 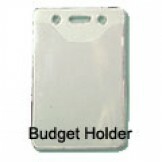 Protect your ID card from everything:- Water, Dust Has Slot & Chain Holes Outside Dimensions .. 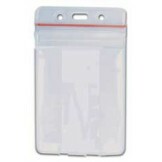 Secure Clear Vinyl 2 Card Holder 50 pack FIPS 201 Compliant Protect all 13.56MHz contactless smart..
Ziplock Holder with Keyring 100 pack Holds Credit Card size cards Has Split ring for keys or may b.. 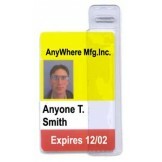 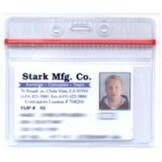 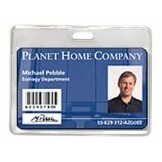 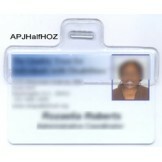 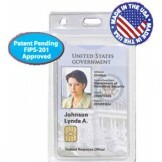 Protect your ID card from everything: Water Dust Has Slot & Chain Holes Outside Di..